Beowulf celebrates a warrior culture. For this reason, loyalty is of paramount importance. One of the central points, which demonstrates this, is the conflict between Beowulf and Unferth. Beowulf is from another place and another tribe. His allegiance to Hrothgar is through a family debt, yet he proves himself more loyal to Hrothgar than Unferth who is one of Hrothgar’s own men. 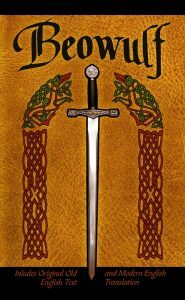 As Beowulf distinguishes his loyalty to the king, Unferth fails. The real test of the hero is his loyalty to the king, to knightly virtue, and to his honesty. Beowulf is the perfect embodiment of bravery and valor. He shows no fear and never wavers from his quests throughout the poem. Unferth, on the other hand, lets his bravery waver and proves himself to be an unworthy knight. We never see any deliberation on the part of Beowulf. As a warrior knight, his only choice is to act and to never show fear in the face of adversity. Grendel and his mother demonstrate nothing but malice, on the other hand. They do not act out of valor, but only out of a malicious desire to destroy. Even Grendel’s mother, who seeks vengeance for the death of Grendel, acts on blind revenge and never a duty to her son. Again, the Danes and Geats are part of a warrior culture. While engaging in battle is a necessary feature of life, blind vengeance seems to be both understood and a something which lacks virtue. As much as Beowulf owes his allegiance to Hrothgar, Grendel’s mother shows no allegiance to anyone or anything other than her thirst for revenge. Grendel is also a figure of blind vengeance. He kills and terrorizes simply for the thirst for blood. For this reason, the violence of the monsters is evil. Even as the poem draws our attention to feats of valor and strength, there is almost as much emphasis on the generous hospitality offered by King Hrothgar and his wife. The feasts and celebrations are as detailed as the battles. After his victories, Beowulf is treated with songs about his strength and bravery. As a virtuous king, Hrothgar shows his virtue through generosity. Beowulf in his turn provides the same openheartedness during his peaceful reign, and he generously rewards his own hero with the throne.